Music is the universal language, and in the case of an instrument called SPARK, it could also be a lifesaver. 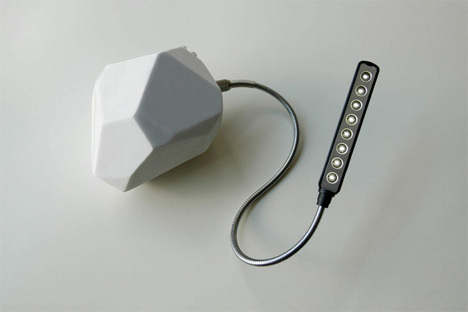 SPARK, invented by Royal College of Art graduate Diana Simpson Hernandez and promoted by percussionist Sudha Kheterpal, is a percussion shaker that creates electricity as it creates music. 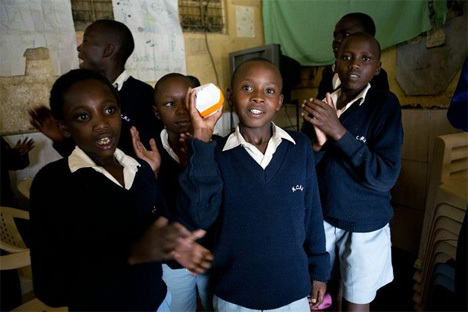 In developing countries like Kenya where up to 75% of the population has no access to electricity, kerosene lamps are often used for nighttime lighting. 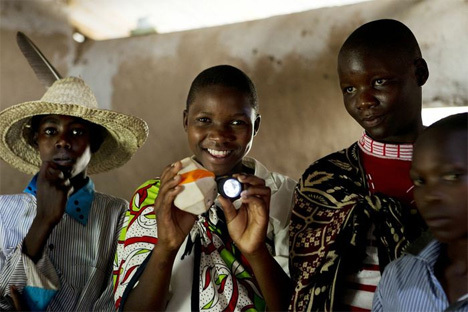 These lamps are deadly, causing 12,000 deaths per year in Kenya alone. But without them, schoolchildren have no way to do their homework or read. The SPARK contains a copper coil with a magnet inside that moves back and forth as the SPARK is shaken. The motion gathers electricity which is stored in a rechargeable battery, allowing owners to jam in the daylight to save up enough electricity to light their homes at night. The SPARK happens to make a lovely sound when shaken, so it makes a great addition to a formal or impromptu musical gathering. A USB light can be operated from the SPARK’s stored energy. This can provide precious time to read or do schoolwork at home. The SPARK can also be used to charge mobile phones, a service that is typically only available to Kenyans for a charge from street vendors. The project’s Kickstarter campaign is an impassioned plea to bring a much-needed source of clean energy to developing nations. Because learning the inner workings of the tool is just as important as using it, the SPARK will be manufactured and distributed as an assembly kit. 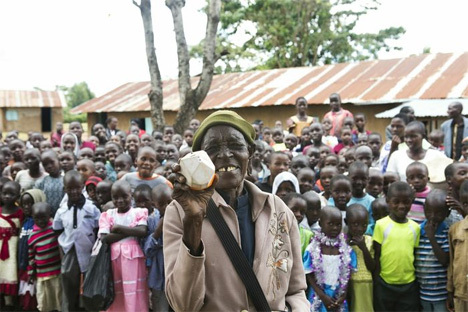 After testing the SPARK in several Kenyan villages, Kheterpal has discovered that the technology would make a huge positive difference in the lives of its users. Contribute at least £150 to the Kickstarter campaign to get your hands on one of the very first SPARK kits to be produced.